Stylish storage is so in these days, and so is the Bliss Ivory Three Drawer Chest! This classy chest is perfect for adding some extra storage to your home while also adding style. Featuring three drawers with extended drawer glides, this chest is ready to store whatever you need. Add even more style by placing your favorite family picture or most prized knick-knack atop this chic piece. 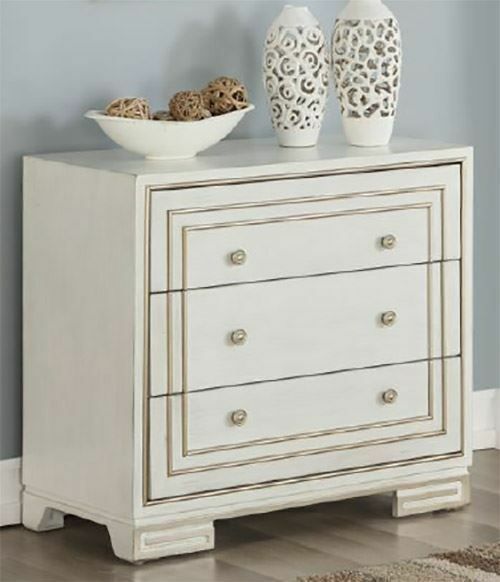 Take home the Bliss Ivory Three Drawer Chest today! Stylish storage is so in these days, and so is the Bliss Ivory Three Drawer Chest! This classy chest is perfect for adding some extra storage to your home while also adding style.